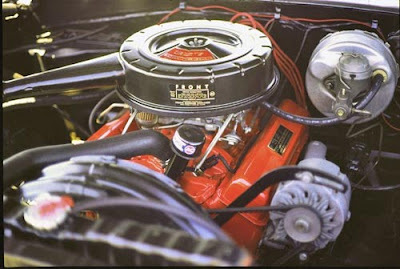 The Chevrolet performance engine story has to start in 1955 with the release of the now universally famous small block. Debuting at 265 cubic inches, it didn’t take long for the tuning to begin. The Power Pack option became available in 1956, and in ‘57 the first of the famous 283 Fuel Injected models arrived. Small block development really took flight in 1962 with the release of the legendary 327. Chevy increased the bore size to 4.00” on the new package, and when combined with the 3.25” stroke came up with the new displacement. The new mouse was offered in three forms initially – the most common of which were the 250- and 300-horse examples with hydraulic cams and four-barrel carburetion. The big news, though, was the 327 destined to be the top engine offering in the Corvette. This engine had an 11.25:1 compression ratio, big-valve heads (1.94” intake, 1.50” exhaust) and a solid-lifter camshaft, and was of course topped off with the exotic Rochester mechanical fuel-injection first seen in ’57. The top-shelf Corvette fuelie 327 was rated at a stout 360 horsepower. 1964 brought even more refinement to the fuel injected 327. Larger valves (2.02” intake, 1.60” exhaust) and a bigger mechanical camshaft (.485” int/exh lift, 346° int/exh duration) resulted in an extremely healthy 375 horsepower rating. 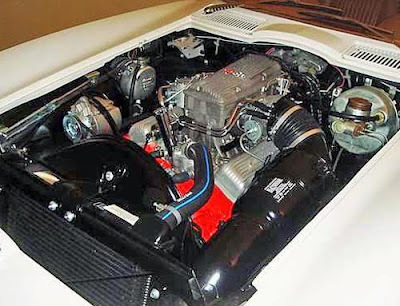 Produced in 1964-65, this engine was available only in the Corvette. 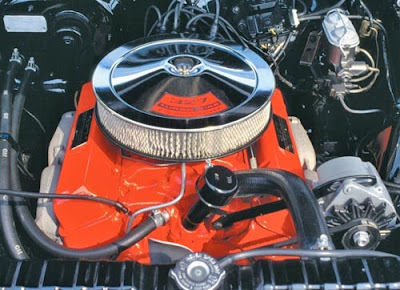 By 1966, the new Mark IV big block assumed the role of top performance powerplant at Chevrolet. This didn’t mean, however, that hot-rod small blocks would fall by the wayside. A new 350-horse 327, known by Chevy fans as L-79 (its RPO code), was released for duty in Corvettes, Chevelles and Chevy IIs. Although not quite as powerful (at least on paper) as the 375-horse fuelie engine of previous years, the wider applications meant many more were on the streets, which makes the L-79 among the most popular of the ‘60s small blocks. With an 11:1 compression ratio, 2.02”/1.60” valves, a hydraulic camshaft measuring .447” int/exh lift, 342° int/exh duration, and a high-rise aluminum intake topped by a Holley 4-bbl, this engine exemplifies the type of performance small block a countless number of enthusiasts have built over the years. Although the 327 continued to be used through 1969, most of the performance small-block work was done on the Z/28-only 302 and the new-in-’67 350-inch engines. But a lot of the legendary small-block Chevy’s success can be attributed to the hot little 327. After all, we’re still talking about it almost a half-century after its debut! A legendary intake system. Whooaa! It be great glory to use this. YOu might be dealing with aol mail login problems due to the several reasons such as an incorrect username and password. visit askprob community to fix the problem instantly.